Notes: Expansion states are states that have expanded Medicaid. 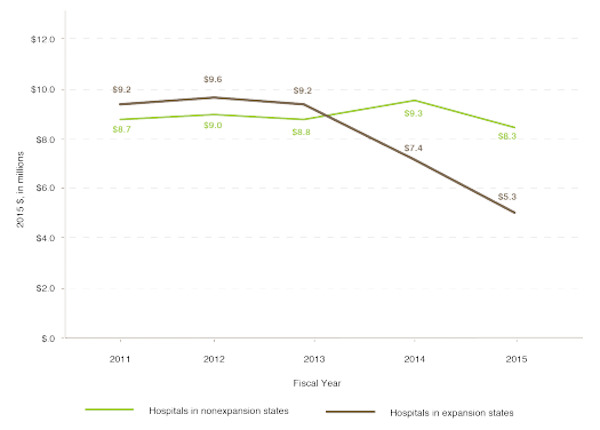 Data Source: FY 2011-FY 2015 CMS Healthcare Cost Report Information System. This entry was posted in Data Watch on April 12, 2017 by Genevra Pittman.